An exercise routine that uses StringyBall for arthritic hands can reduce the pain of arthritis while also working to strengthen the hands and decrease inflammation. Arthritis is one of the most common bone disorders worldwide. This term refers to any disease affecting the joints, such as osteoarthritis, peripheral arthritis, and spondylitis. Most patients experience inflammation of the joints, limited range of motion, fatigue, and muscle weakness. Even though arthritis can not be treated, it's possible to keep it under control. Regular exercise helps relieve pain, strengthens the joints, and increases bone mineral density. Squeeze balls are a staple in most rehabilitation programs for arthritis. These accessories can also be used at home as part of your daily workouts. In the long run, they ease joint pain and stiffness, speed up healing, and increase your mobility. Arthritis affects people of all ages. About 50 million Americans have this condition. Another 78 million will develop arthritis by the year 2040. Over 300,000 babies and children in the U.S. alone are struggling with arthritic disorders. The risk is higher in people who are overweight or obese, smoke or have a family history of arthritis. This disorder causes joint inflammation and stiffness. It also affects the bones, ligaments, tendons, and muscles, limiting their function. Some form of the disease can involve internal organs. There are 100 types of arthritis, and each has specific symptoms. Osteoarthritis and rheumatoid arthritis are the most common forms. These conditions can be successfully managed through exercise, diet, and medications. Surgery should be your last resort. Statistics indicate that one in two people will develop osteoarthritis by age 85. Two-thirds of arthritis patients are under 65. The risk increases with age. Women are three times more likely to develop this condition than men. Other risk factors include smoking, genetics, joint injuries, obesity, hormones, and viruses. The exact cause of the disease is unknown. 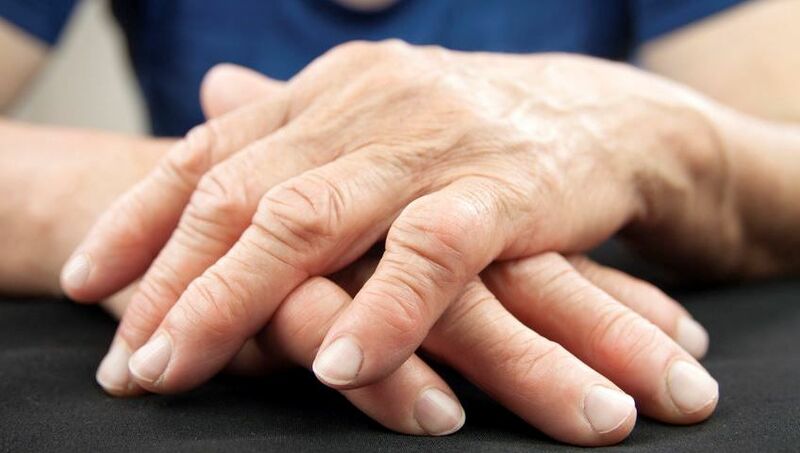 About 40 percent of those struggling with arthritis will develop other conditions, such as heart disease, anemia, bone loss, Sjögren’s syndrome, and rheumatoid nodules. Any of these disorders can affect your quality of life, causing pain and discomfort. Most forms of arthritis affect the joints in your wrists, elbows, knees, shoulders, hands, and feet. Patients often experience poor sleep, malaise, difficulty moving the joint, back pain, and loss of flexibility. Over time, they may lose their ability to walk, bend, climb the stairs, and perform everyday tasks. For this reason, arthritis is a leading cause of disability. Certain factors, such as anxiety, depression, and stress, can make pain worse. People who don’t get enough rest, sit for extended periods of time or play contact sports are more likely to experience flare-ups. Jumping activities, explosive movements, and repeated hopping may worsen arthritis symptoms. This condition affects different people in different ways. Its symptoms can be mild or severe, develop quickly or progress slowly, and limit your ability to work. How Effective Is Exercise for Arthritis Pain? There is no permanent cure for arthritis pain. Medications, topical creams, muscle relaxants, and massage therapy can help ease pain and restore your mobility. Surgery is only recommended in severe cases. Regular exercise has been shown to relieve pain and inflammation. It's one of the most effective yet overlooked ways to manage arthritis symptoms. Studies indicate that arthritis patients who exercise report less pain compared to those with a sedentary lifestyle. Strength training is particularly beneficial. As a rule of thumb, people with arthritis should avoid high-impact activities, such as jumping, running, aerobics, or tennis. Walking, swimming, and cycling can improve your quality of life. Many people with arthritis have a hard time using their hands. The pain can be stabbing. Some accessories, such as the StringyBall Stress Ball, are specially designed for arthritis patients. When used regularly, they reduce pain, lower inflammation, and strengthen the joints in your hand. These exercise tools can be employed as part of your workout routine. The StringyBall was designed to relieve stress and aid in rehabilitation. It's ideal for hand strengthening exercises, such as the claw stretch, the thumb bend, or wrist stretches. The ball is on a string, so it won't fall or roll away like other squeeze balls do. This makes the exercise routine a pleasant experience. This hand therapy exercise ball not only eases pain but also helps reduce muscle tension. In the long run, it keeps your hands and fingers supple and healthy, improves range of motion, and makes everything activities easier. Exercising with the StringyBall boosts the production of synovial fluid, leading to increased joint mobility. Due to its convenience and ease of use, the StringyBall is perfect for people of all ages. It's also beneficial for those who are under stress or have bone disorders like carpal tunnel syndrome and tendonitis. This innovative squeeze ball can help you recover faster from injury and pain flare-ups caused by arthritis. It's a great tool for building grip strength, toning your forearms, and improving blood circulation. Keep it close to you and use it daily to reap its benefits.